Everyone has a unique skin story requiring a customized combination of skin care products. We must care and cleanse our skin every day for it to remain healthy, but when it comes to cleansing, not all body parts are created equal. The skin on our face requires much different care than the skin on the rest of our body; starting with the proper facial cleanser. Facial cleaners come in a variety of formulas and textures including creamy cleansers, cleansing lotions, foaming cleansers, gels, and oils. Choosing the right cleanser is a matter of education and personal preference; learning which cleansers are best for your unique skin story. In general, foaming cleansers are well suited for most skin types. Some, such as Juno’s Oxygen Revitalizing Cleanser stimulate the skin with Ginseng, Orchard Extract, and Glycoproteins that help to produce oxygen-revitalizing effects which are lost with aging. Gel cleansers and lotions like Juno’s AHA/BHA Exfoliating Cleanser are best for oily or combination skin because it contains natural acids to loosen the bond of dead skin cells and accelerate the natural skin renewal process. Creamy cleansers are best for dry or sensitive skin types because they cleanse the skin gently without stripping it of natural oils. Most creamy cleansers also contain moisturizing ingredients, serving as a wonderful supplement for dry skin. A favorite creamy cleanser of ours is Juno’s Botanic Spa Rituals, Indian Fig + Aloe cleansing Cream. We love it because it is great for any skin type, works well to remove oil or makeup, and is especially helpful for those skin stories that need firming and extra moisturizing. Last but not least, and to many of our client’s surprise, oil-based cleansers are great for almost any skin type. Juno’s Oil Cleanser melts away makeup and environmental impurities without stripping the skin’s natural moisture. The cleansing oil absorbs quickly to seal in hydration while delivering powerful skin-softening effects and antioxidant protection. Now that you have a basic understanding of cleansers and which ones might be best for your skin type, the next step is learning the proper method for effective cleansing. Step 2- Application: First, completely wet the face using tepid water (water that is too hot will shock the skin.) Next, put a small amount of cleanser on your fingertips and activate the cleanser by massaging it into the fingertips using small, circular motions. Step 3- Cleansing: Use a cotton washcloth like Juno’s Disposable Washcloths (with tepid water) and gently scrub with the cloth in small circles over your skin. The cloth acts as a light exfoliate and is one of the best ways to make sure dirt and makeup are completely removed. Step 4- Rinsing: Rinse the face two to three times with tepid water and then pat the skin dry with Juno’s Disposable Washcloths. 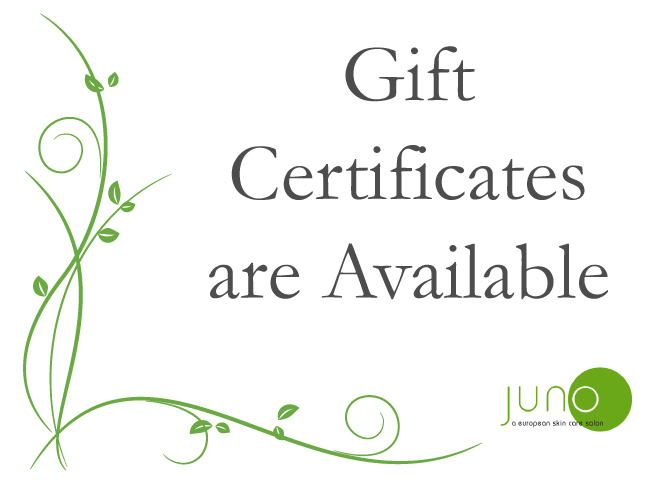 If you would like to receive more information about Juno’s services or products, please subscribe to our monthly newsletter where Ida shares her favorite products and services to keep your skin healthy and beautiful for a lifetime.